is evident in every project we touch. IFES Electrical Services easily undertakes large-scale industrial and manufacturing electrical projects. We provide installation, maintenance and support for the machines that run your business, including backup power system, power controls and machinery. Not only do we work with industries as diverse as food & beverage and printing, we also have expertise in rigorous environments such as hospitals and highly secured government and mission critical facilities. Our team is certified and experienced in all aspects of the site protocols for laboratory, institutional and heavy/light manufacturing facilities. We provide around-the-clock emergency industrial electrical services to lower the downtime when mechanical issues occur in your facility. IFES Electrical Specialises in all aspects of commercial electric contracting, including office build-outs, tenant improvement, ongoing service and preventative maintenance. Our team of project managers and skilled electricians work closely with you to ensure your projects come in on-time and on budget, while maintaining the highest quality of standards. Because of our extensive experience and consultative approach, we’re able to successfully complete electrical projects of all scopes and timeframes, time after time. 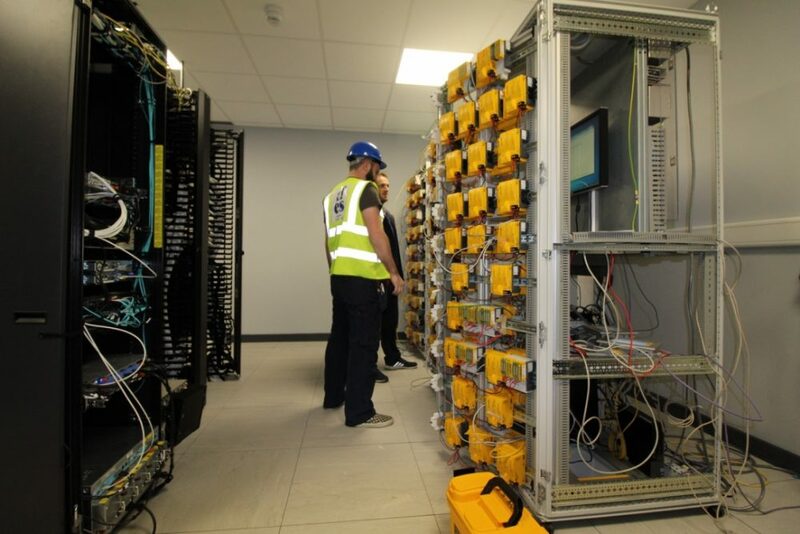 IFES Electrical Specialises in all aspects of computer network soloutions including all UPT cabling and fibre optic installation and termination. All systems are provided with a comprehensive range of professional services with support and maintenance contracts delivered through our professional services team.